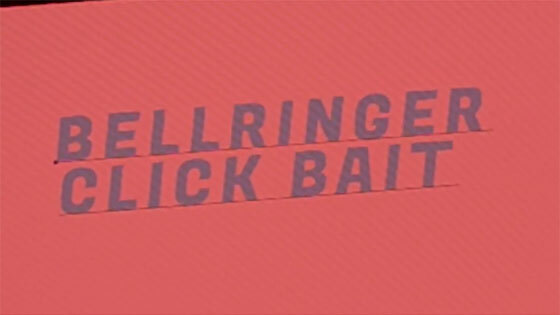 Hot on the heels of their mesmerising video for Von Fledermaus, BELLRINGER, the vehicle for the music of ex-Clown Alley and Melvins agent provocateur Mark Deutrom, have revealed another new video, this time featuring the track Click Bait. Like previously, the video is a montage of archive footage showing all manner of 21st Century fuckery that was sourced and spliced together by Mark himself, then tweaked and polished by Jennifer Deutrom. Now click play below to delve into the estranged world of BELLRINGER. You can also catch BELLRINGER live when they join FUNERAL HORSE for the album launch party for Divinity For The Wicked, the night takes place at Rudyard’s British Pub, Houston, TX on Friday 30th October, while more info can be found on the Facebook Event. BELLRINGER are currently in post-production for their debut album that’s scheduled for release in 2016, while more regional shows are being planned in the Texas area, so keep an eye open for those.